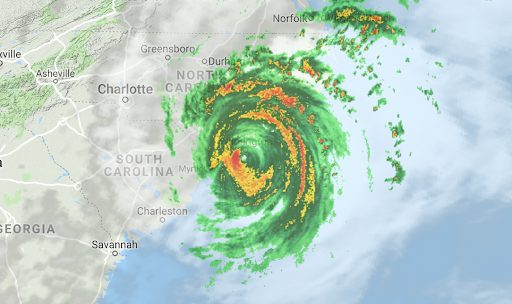 Hurricane Florence continued sweeping across part of the southeastern United States on Friday, making landfall in North Carolina and bringing with it powerful winds along with forecasts warning of “life-threatening” storm surge and rainfall. Collapsed roofs and other structures were already reported in the Morehead City and New Bern areas of North Carolina. New Bern was particularly hard hit, with reports of more than 100 people stranded in their homes or cars in need of rescue. The large and dangerous storm is expected to keep battering parts of North and South Carolina on Friday.